In recent years, distracted drivers – motorists who divert their attention from the road, usually to talk or text on the phone – have become one of the leading causes of road accidents. 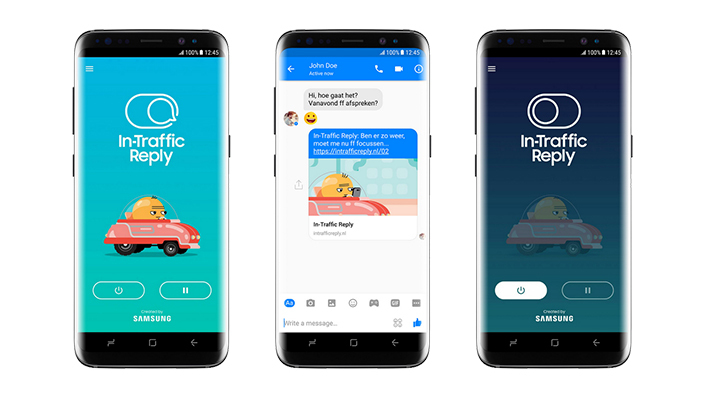 In response to this growing concern, Samsung Electronics Benelux B.V. has created a new app called In-Traffic Reply, which aims to help drivers reply to messages without taking their focus off the road. A recent PanelWizard* study found that approximately one third of Dutch drivers occasionally use hand-held smartphones while driving a car or riding a bike. Many of the respondents claim that their reason for doing so is related to the social pressure to respond to calls and messages quickly. 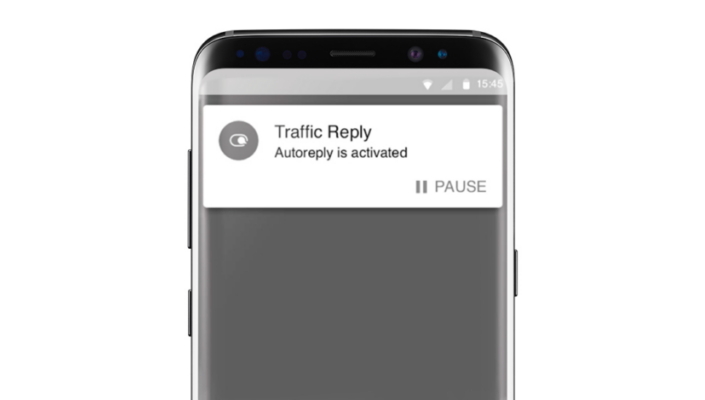 The In-Traffic Reply app reduces this pressure by sending automated responses to calls and messages while the owner of the phone is on the road. The app will automatically activate when it detects the user is riding a bike or driving a car through the smartphone’s sensors such as its GPS. Users can choose to send the default reply (“I’m driving, so I cannot answer at the moment.”), a fun, animated response, or their own customized pre-set message. In-Traffic Reply is currently in beta, and has already attracted the attention of hundreds of interested users. The full version of the app will launch in mid May and will be available in the Google Play Store. *The study was carried out by PanelWizard at the behest of Samsung. There were 1,351 respondents, aged 18 and older, who get around primarily by bike and/or by car. The online study was conducted between March 20 and 23, 2017.